With every purchase above 1,000 HUF you earn a reward point on your reward card. When you accrue 10 points, we pay the bill to the tune of 1,500 HUF! Hummus, tehina, shakshuka, pargit, falafel… Although you can encounter quite a few foreign food names when you consult our menu, we have no doubt that you will soon familiarise yourself with them. Whether a vegetarian or a meat-eater, you will find the healthy and nourishing foods that are best for you, all prepared with extra care and attention to detail, right in front of you at the counter. Visit one of our restaurants and sipping a glass of hot mint tea or a cooling lemonade take your time to study our menu that will serve you as a guide during your exciting culinary tour of exotic cuisine. Our goal is to popularise Middle Eastern cuisine in Hungary, acquanting them with its alluringly exotic taste. 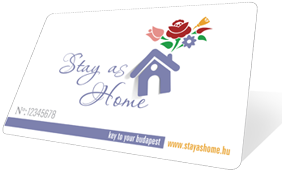 Our specialties are now available in two locations already, in the most visited part of the city of Budapest. Most of our dishes are suitable for people intolerant to gluten and lactose. Please, ask our waiters and waitresses for more information.